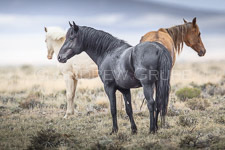 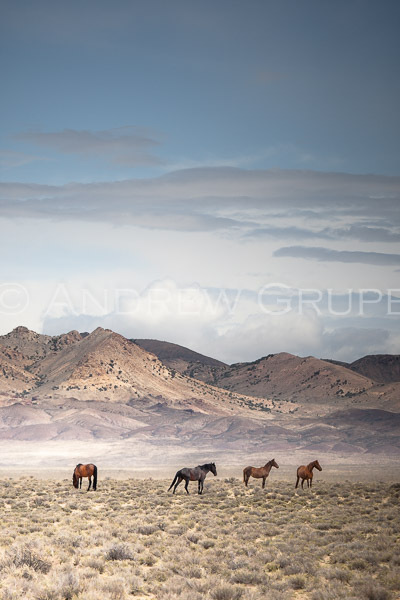 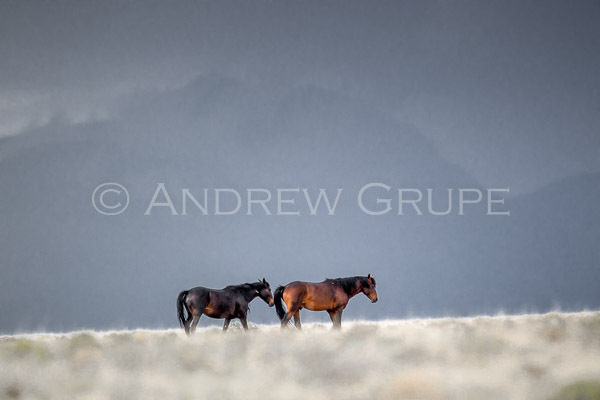 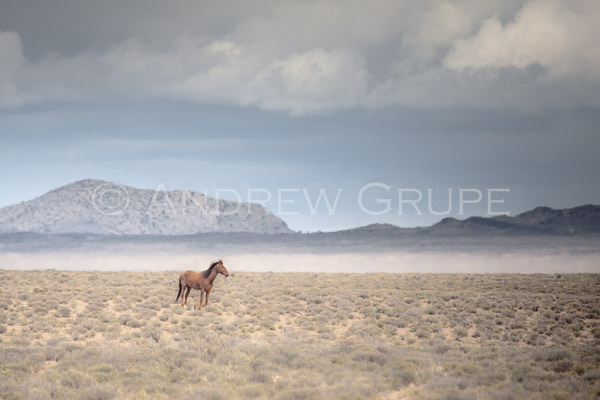 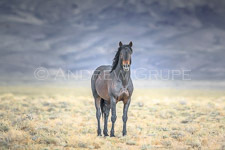 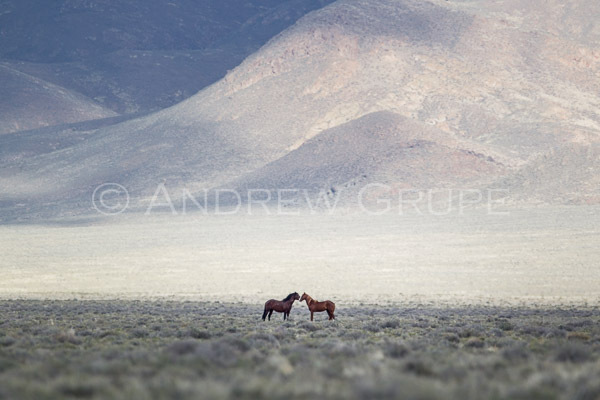 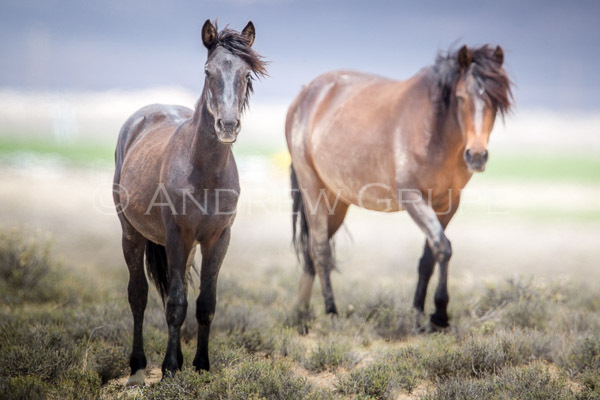 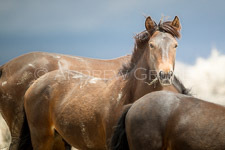 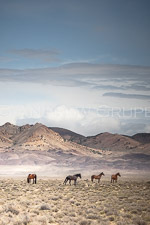 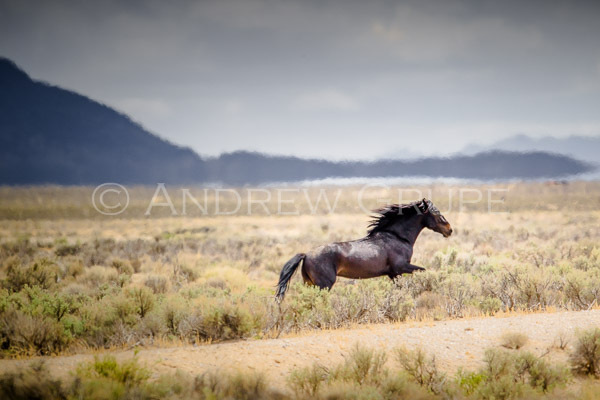 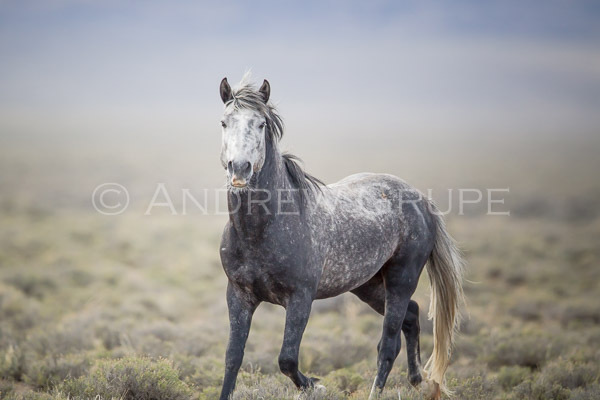 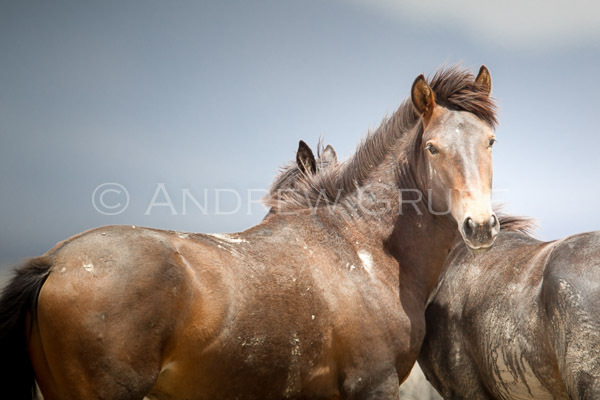 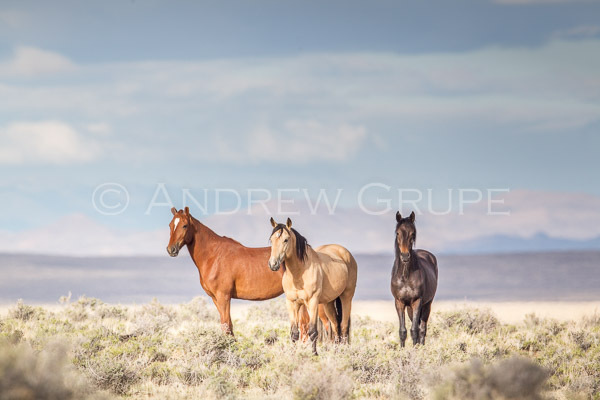 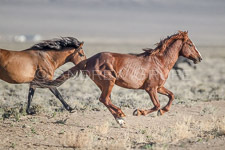 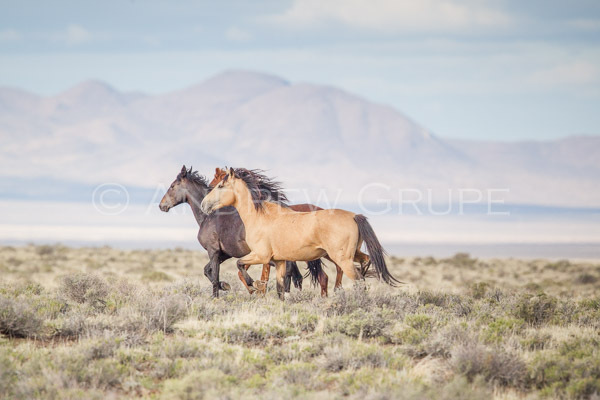 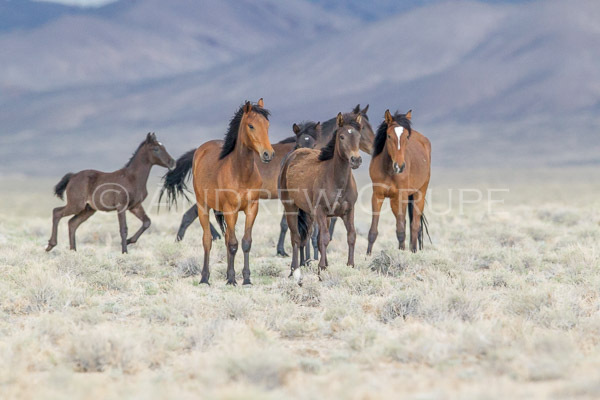 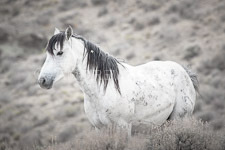 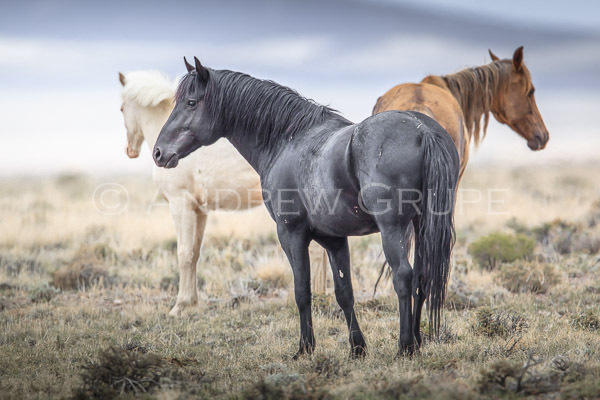 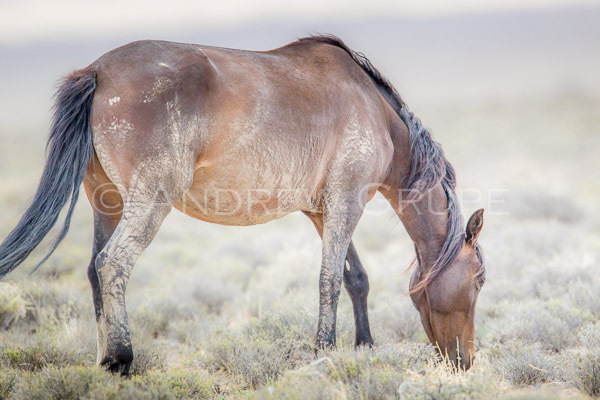 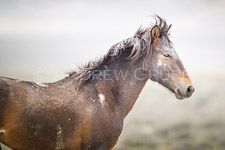 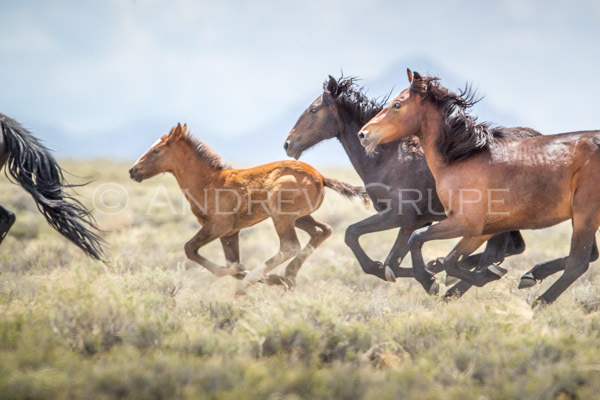 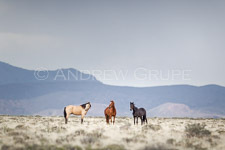 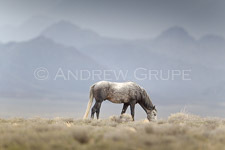 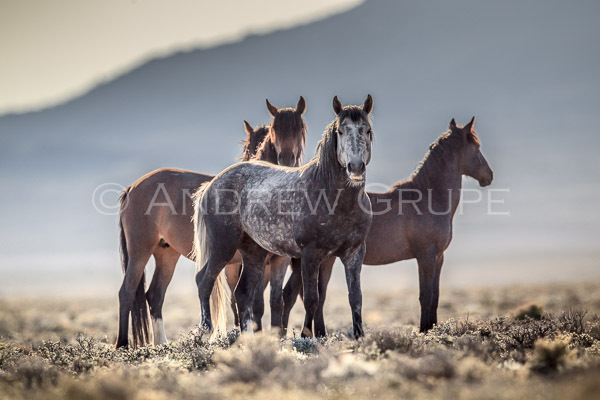 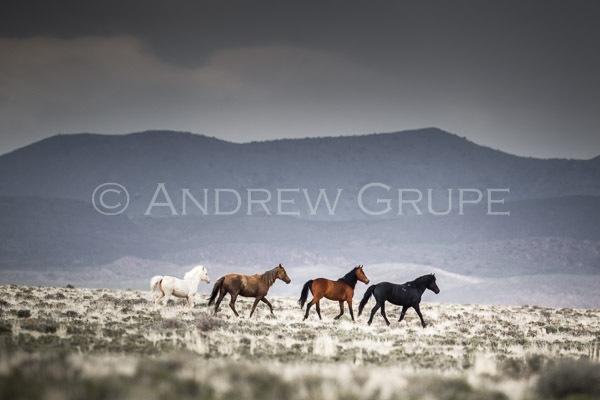 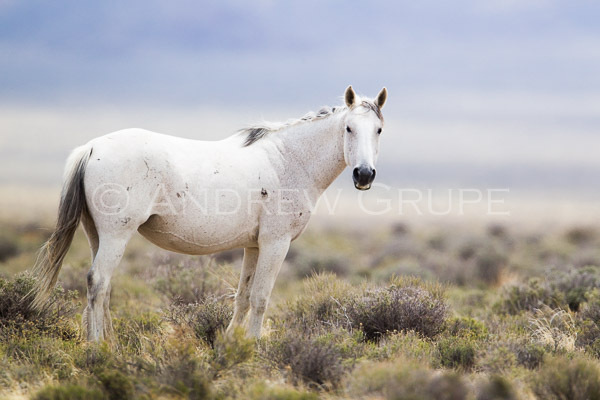 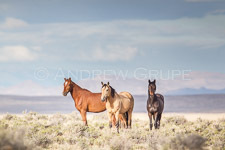 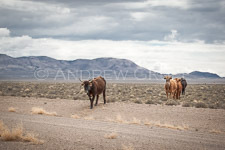 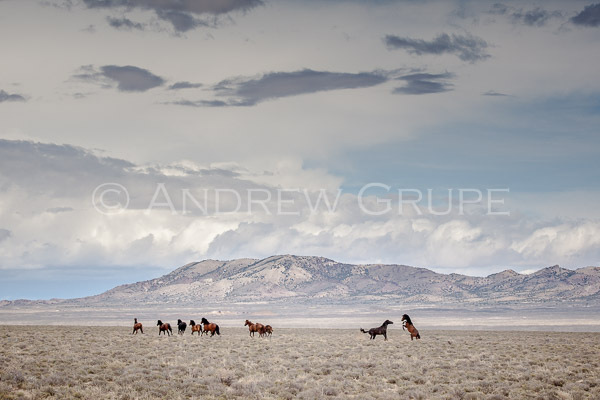 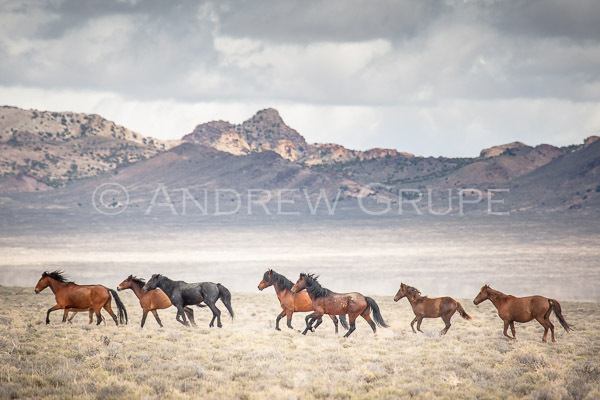 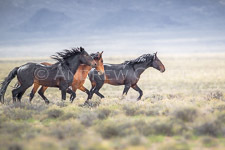 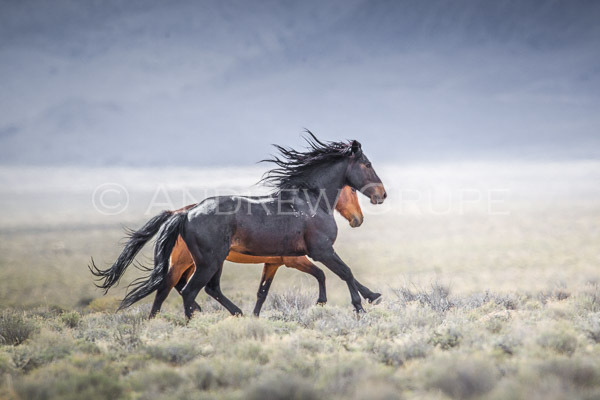 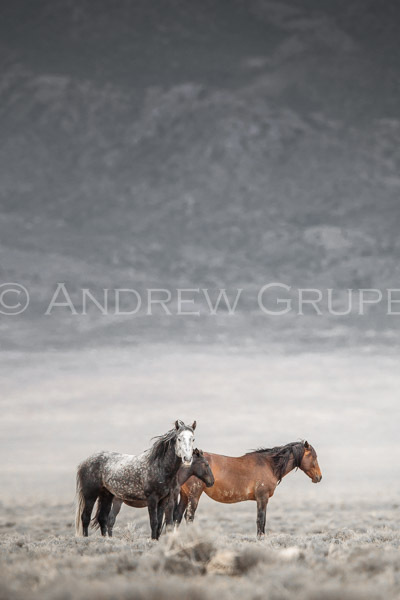 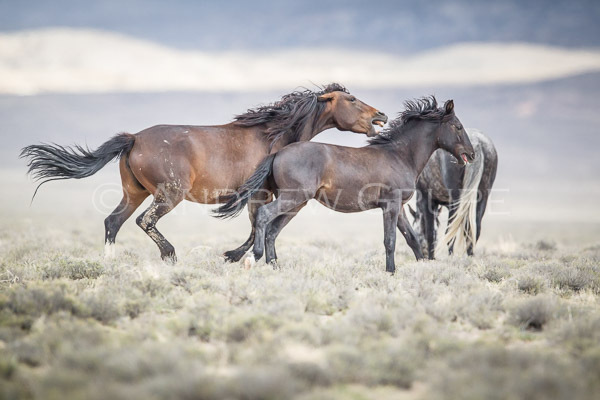 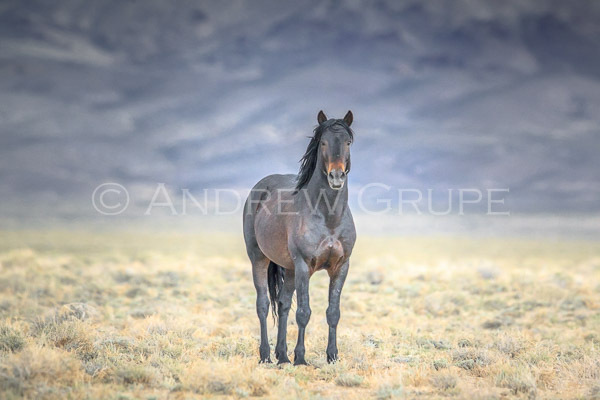 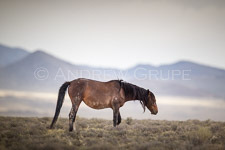 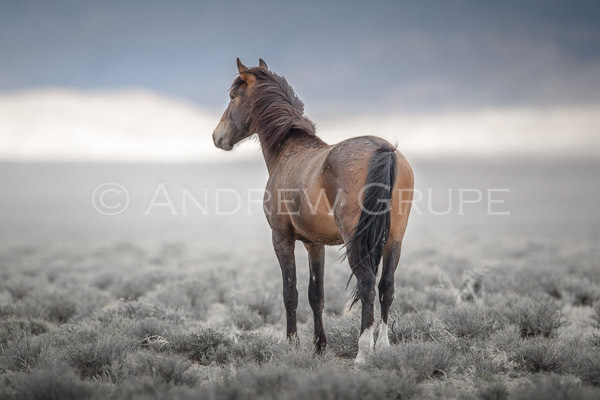 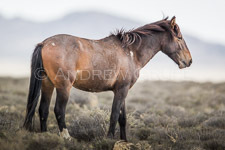 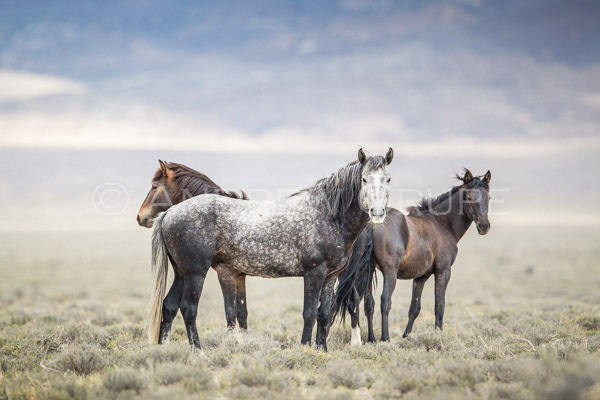 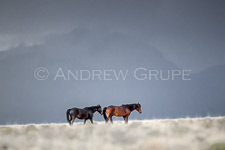 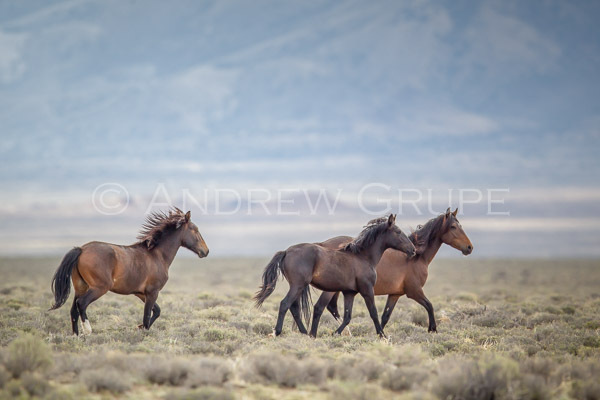 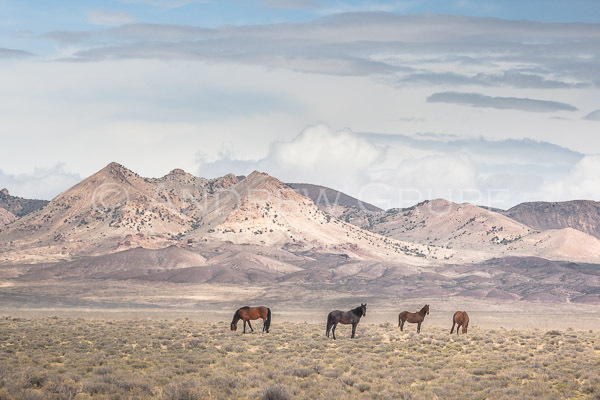 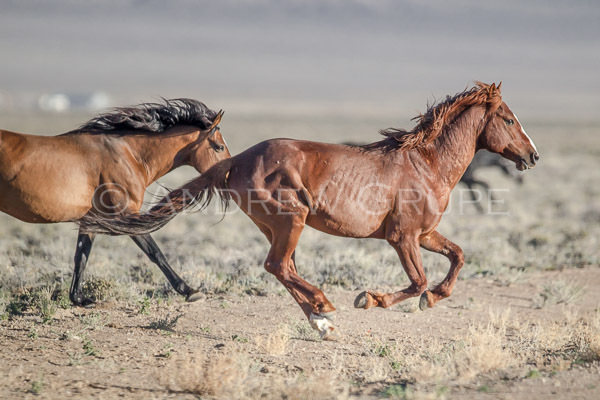 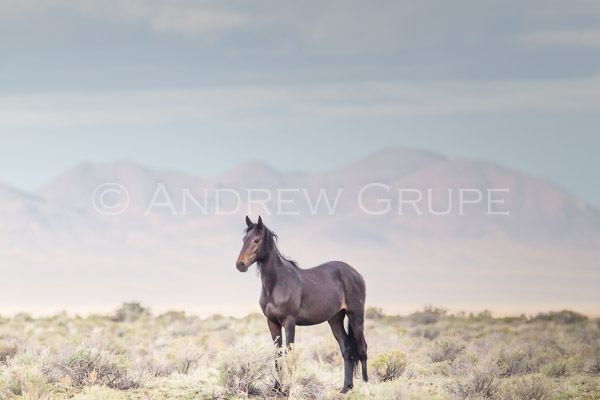 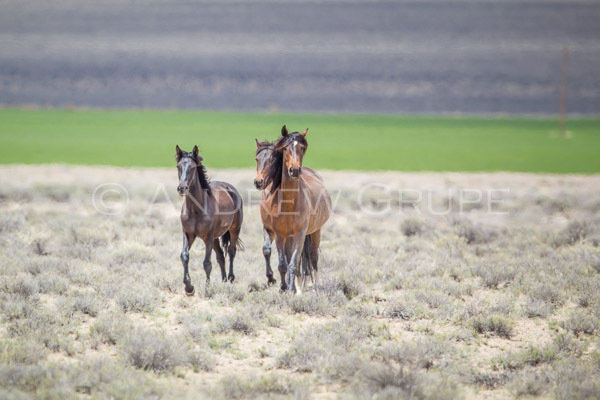 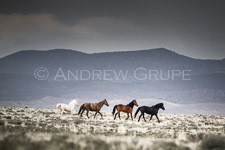 In May of 2015 I had the opportunity to observe and photograph wild horses in Nevada. 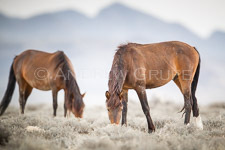 These horses live in remote locations and are not accustomed to people. They can only be observed from a distance and their flight instinct takes over when someone gets too close. Food is very scarce in their environment and horses have to survive on a nimble diet. 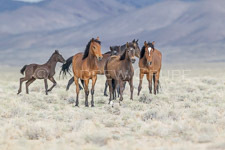 It was fascinating to observe the behaviors of small and larger groups. 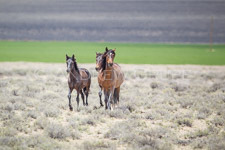 In larger groups, one or two horses are always on watch and the most vulnerable animals, such as foals and pregnant mares, stay in the center of the herd, where they can be best protected from threats. There is also a frequent exchange of information amongst the leaders of the group and other animals in the group. 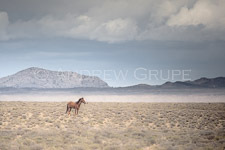 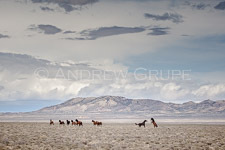 Herd sizes in this location varied between two and 60 horses.